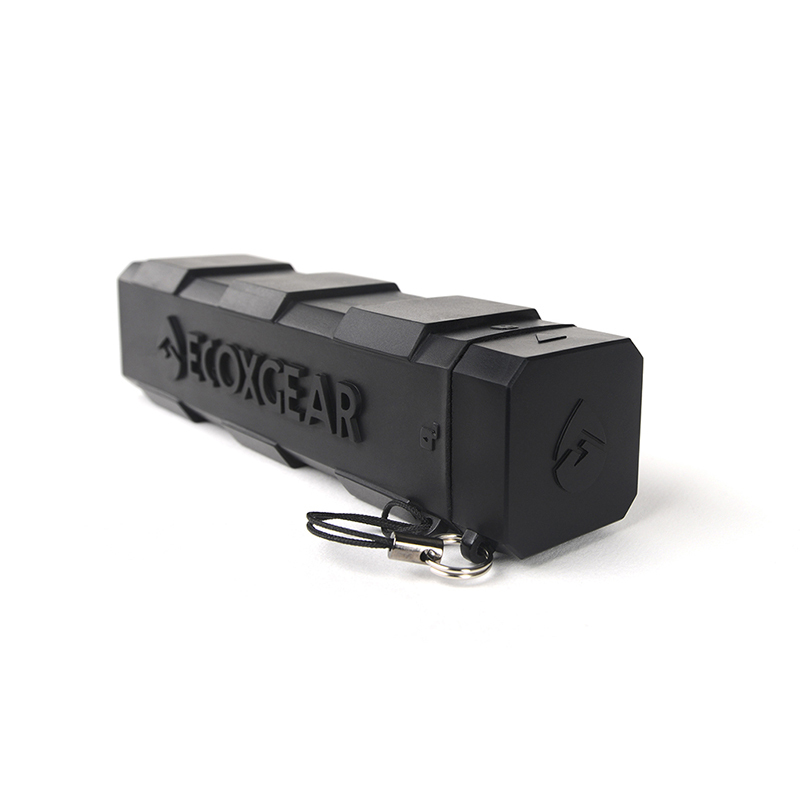 EcoCharge+ | ECOXGEAR Canada - PLAY IT LOUD! 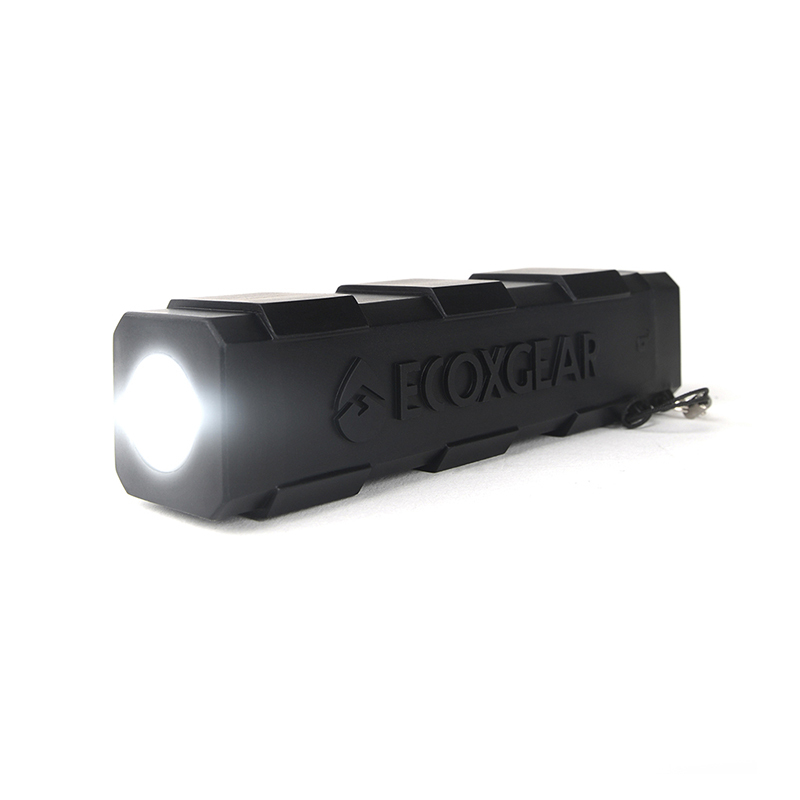 EcoCharge+ is a 100% waterproof 3200mAh power bank with built-in 150 Lumen Cree® LED flashlight. 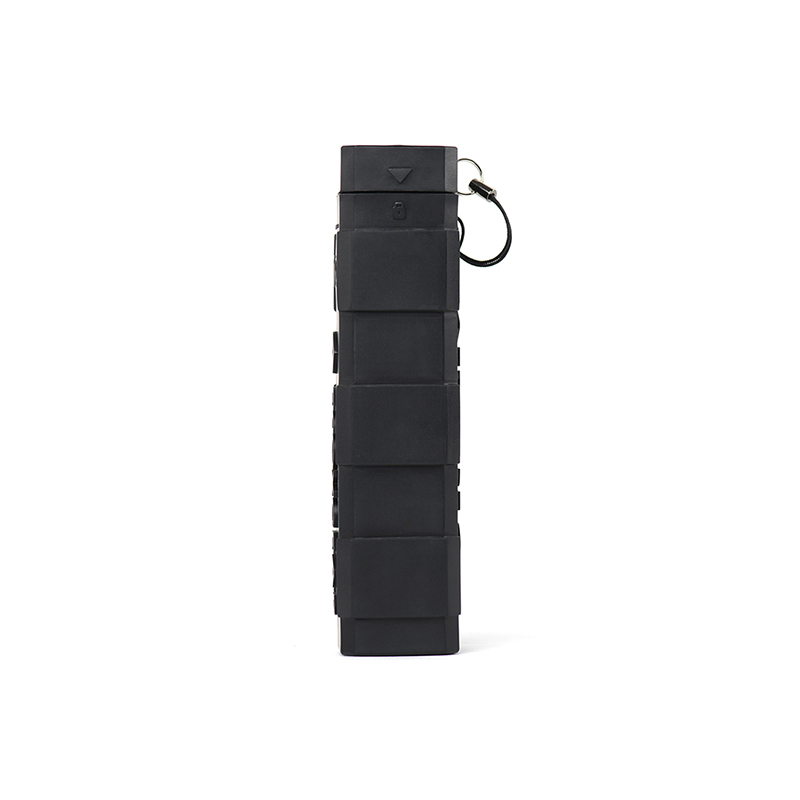 EcoCharge+ is designed to provide complete protection from the Earth’s elements. 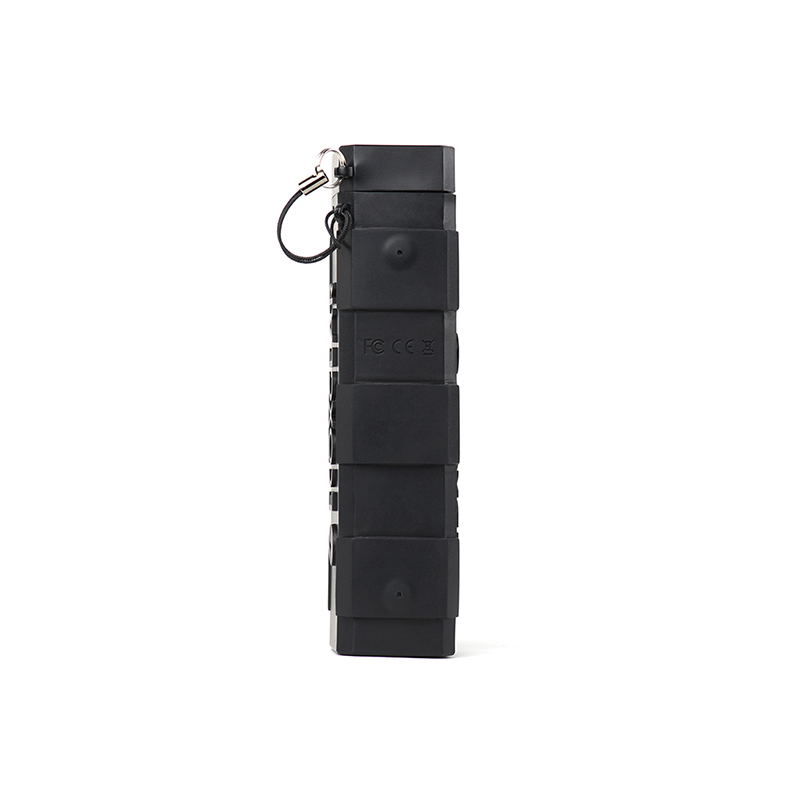 The EcoCharge+ will charge your smartphone and other USB devices for those situations when you need backup power. 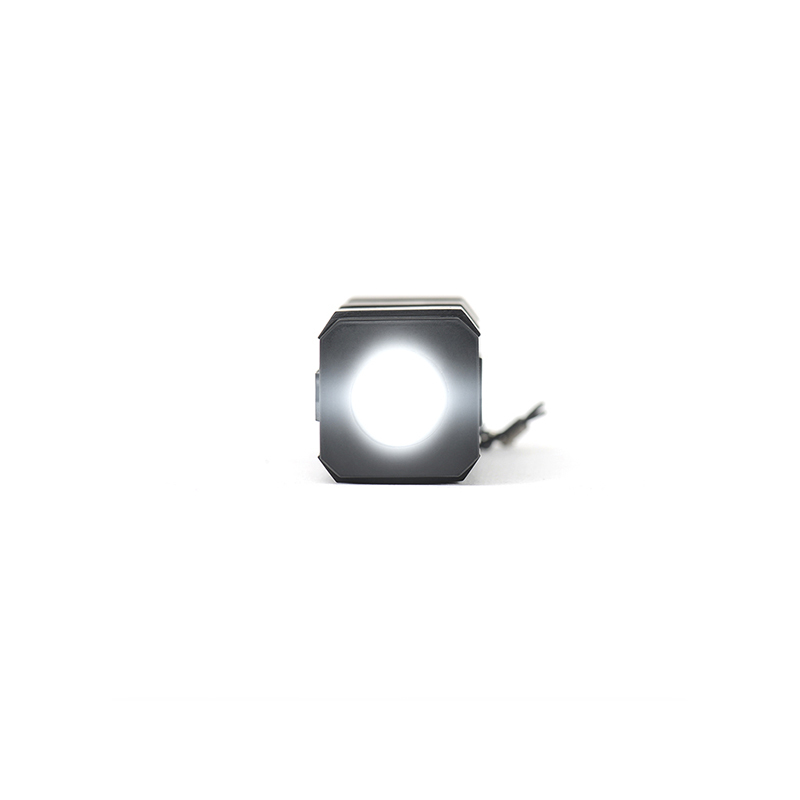 The EcoCharge+ will also provide plenty of light when camping, hiking or any emergency situation. Is the EcoCharge+ waterproof & can the EcoCharge+ be used in water? YES. 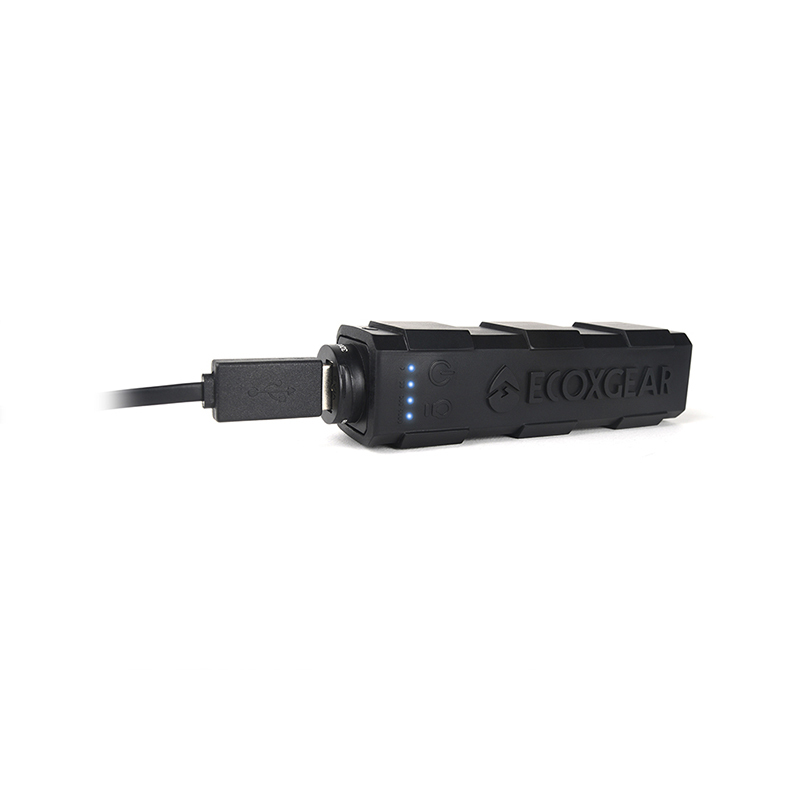 The EcoCharge+ meets the IP67 waterproof standard. The EcoCharge+ can be used in the pool, the hot tub and the ocean without issues. 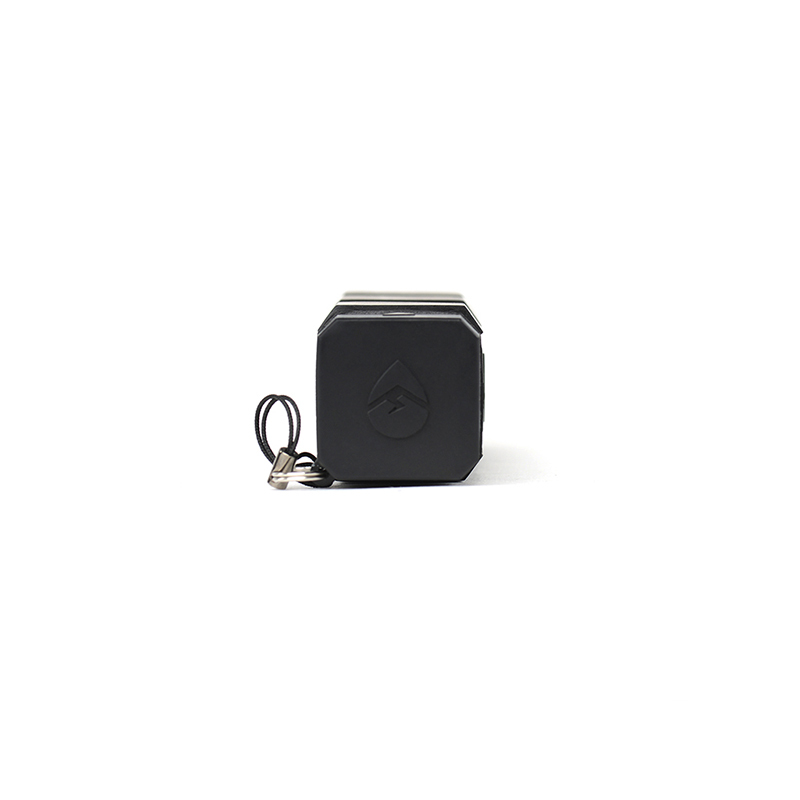 Be careful, the charging cap must be closed properly to keep the EcoCharge+ watertight. 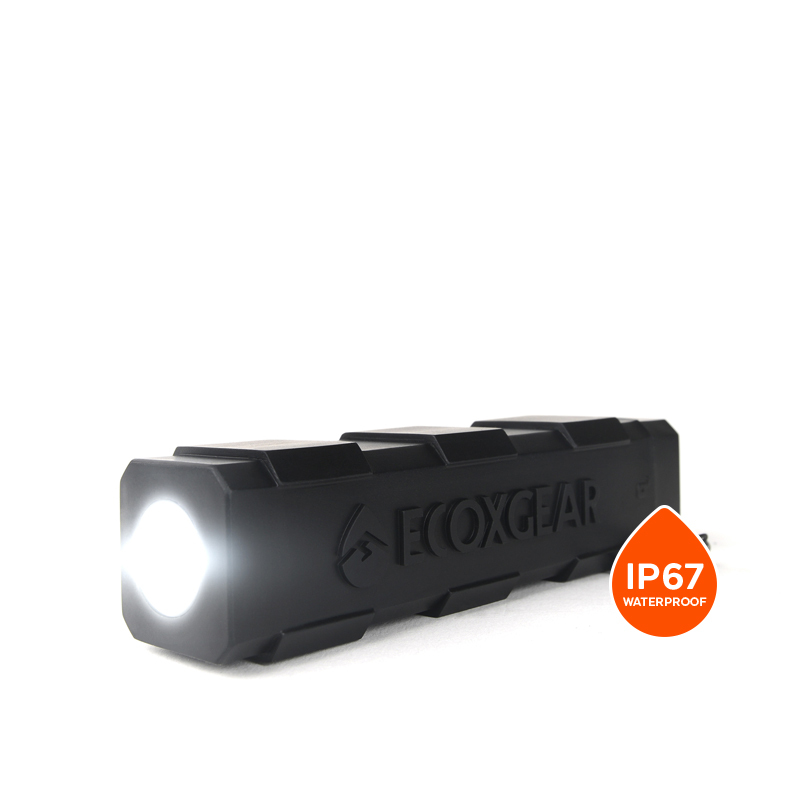 The IP67 Waterproof Standard means that the product is protected against water immersion. 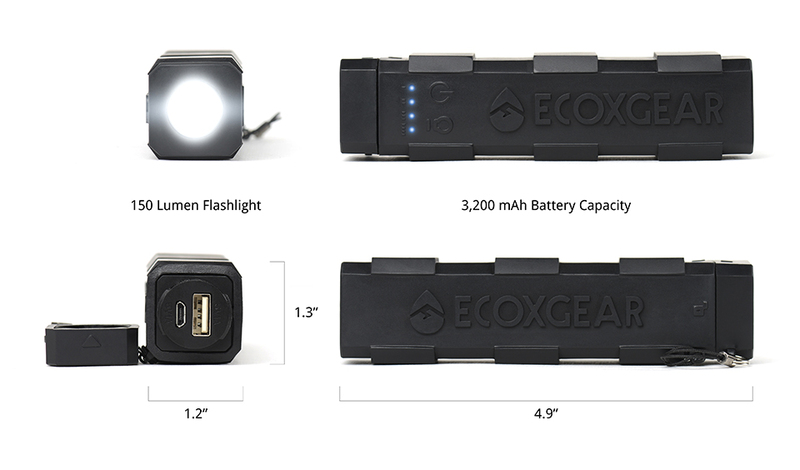 ECOXGEAR+ tests all their products by submerging them in AT LEAST 3 feet of water. This means that our products, including the EcoCharge+ can withstand use in the water. Be careful of other products that claim to be waterproof but are only IPX5 or less. They will leak and sink to the bottom of the pool under the fun conditions above. Does the EcoCharge+ need any batteries? 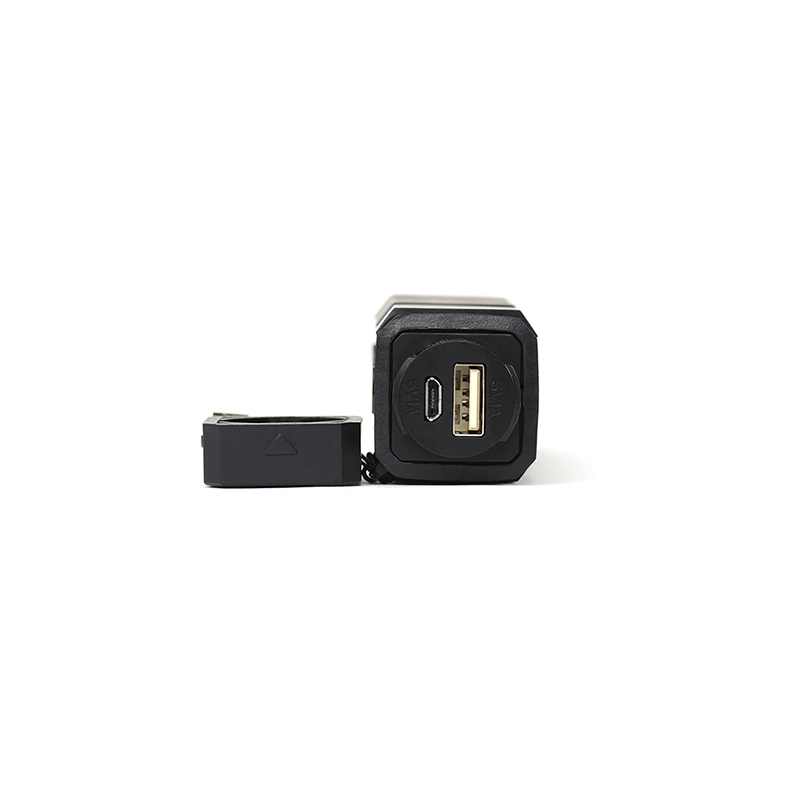 No, the EcoCharge+ comes with a built in Lithium Ion rechargeable battery. It usually takes 2.5 hours to fully recharge from a low battery state.